The 2017/2018 vintage has been a challenge for everyone, both man and vines. The fresh and rainy Spring made the plants vegetation very intense. The management of the green required a lot of attention and work to allow the plant to have the necessary vegetative balance. These weather conditions continued during the first part of Summer, which was characterized by cool days and heavy rains. Therefore, the production of the grapes was quite generous as well as well distributed, thanks to the pre-selection work carried out by our team during the previous months. The end of Summer was hot and dry and allowed a good maturation, even if slightly earlier than the usual. In the first half of September we concentrated the harvest in our Gauggiole vineyard, on the northern side of the estate, where we selected the different parcels. Grapes showed excellent acidity and rather low sugar content, perfect for the more fresh and vibrant wines. 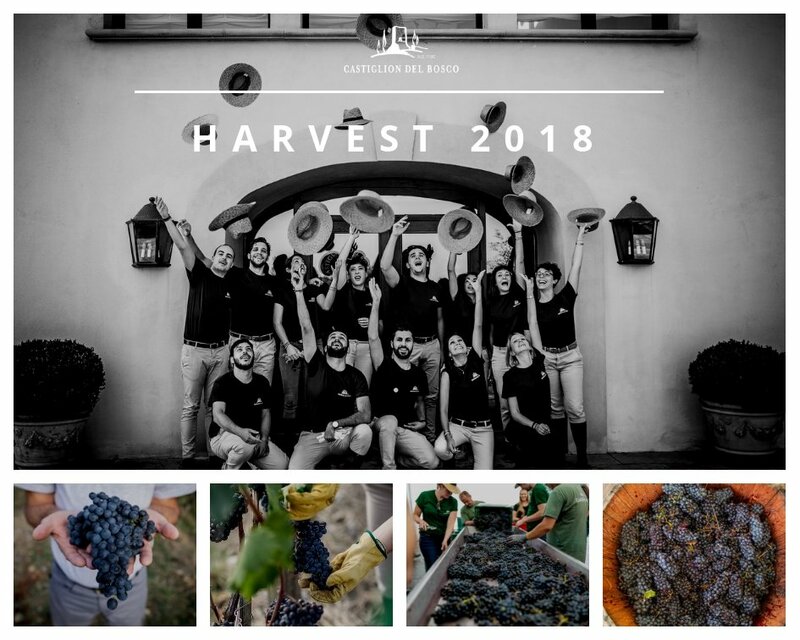 The harvest then continued in our second vineyard, Capanna, starting from the lower parcels and ending at the beginning of October with the Campo Del Drago vineyard, the highest one. Excellent varietal expressions and very ripe tannins will result in a very recognizable Brunello, with a clear and unique style.